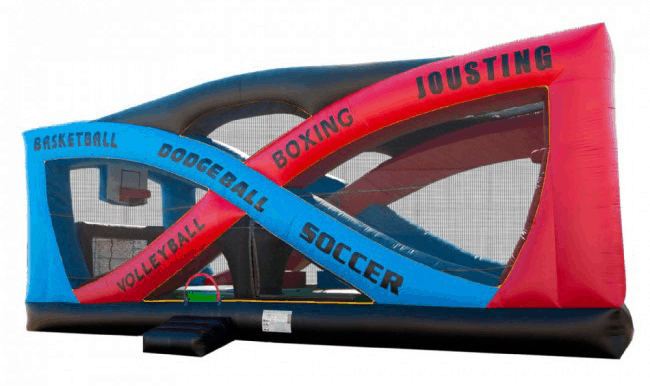 With accommodations for six sports games, the Sports Fusion has everything you can ask for in an inflatable ride. The basketball hoops hang high above the spacious soccer nets, allowing for exciting play. A volleyball net in the center of the ride is removable to allow for use of the Sports Fusion as a dodgeball arena or boxing ring.